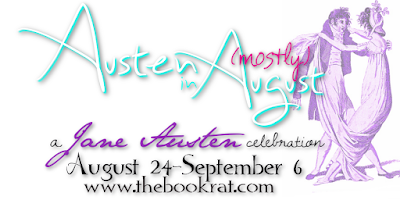 The Book Rat: Jane Austen's Emma goes Spanish! | A Dream Cast from Ana! Jane Austen's Emma goes Spanish! | A Dream Cast from Ana! I love a good dream cast — partly because films rarely seem to get it just right (prizing known-names over spot-on casting) and partly (mostly) because I like seeing how other readers' visions of beloved characters either matches or differs from my own — and today's post is just that! It's an even more enjoyable one for me because I prefer to see actors I'm not familiar with in a dream cast (for the bulk of roles, anyway), so that my idea of them isn't tainted by what else I know them from, and I can really analyze how I think they fit the character. Because Ana of My Vices & Weaknesses focused on finding an all-Spanish cast for her dream Emma reboot, I'm by and large unfamiliar with them and can let my analytical dream castiness streak run wild!Check out her picks below, and share some of your own in the comments! Jane Austen's Emma goes Spanish! Emma is for some people one of the best novels by Jane Austen. However, I have not found yet the awesomeness that some declare it has. One of my faults may be that I have just read it once but I have to say that I enjoy the film adaptations and TV series. Above all I love Romola Garai in the role of Emma as she portrays the rich and capricious only child that has everything she needs and wants and yet she has to meddle with other people's life. I think Emma is a good book to teach that we cannot be the gods and interfere in people's endeavours as we please. Having said that, we need to remember that we usually help and advise friends, and that's a good role in our life; nevertheless being the matchmaker following mainly our own opinions is not a good occupation... and that's what Emma, the main character does until she realises her possible loss and the consequences of her meddlesome ways. Here you have the actors and actresses in the role of Emma Woodhouse and Mr. Knightley of three adaptations that I enjoy. I would like you to share your opinion about these three adaptations and their casting. However, what I would like most is to know what do you think about my possible casting for Emma, I have tried to choose actors and actresses that you may not know as they are Spanish; I am giving you two options for each character and you could vote for your best option. I have to say that it is for me somehow difficult to choose non-Anglo-Saxon actors and actresses to do the role of a British characters. I am going to point out that all the cast for the three variations mentioned above have quite different characters so I hope you do not feel that my choices are totally wrong, as I am trying to do my best to make a nice post and also make you think of your favourite cast. What do you think? Do you like any of my choices? Do you have other choices that in your opinion may suit better these characters? Sources of the pictures from the films are below. The pictures of the actors and actresses have their own link to the source. Thank you Sophia Rose. It is not really easy to find Spanish actors in costume, mainly because they do not tend to do English literature performances, so it makes the choosing more difficult. However, as I know them, I like to compare and give new faces to lovely Jane Austen's characters. Thanks for following my blog, I hope you like it.